San Francisco is a paradise of museums with contemporary and historic backgrounds. The Fine Arts Museums of San Francisco (FAMSF) is one of the city's largest public arts institutions comprising the de Young Museum and the Legion of Honor. San Francisco Museum of Modern Art (SFMOMA) is yet another must see on the list of art lovers. 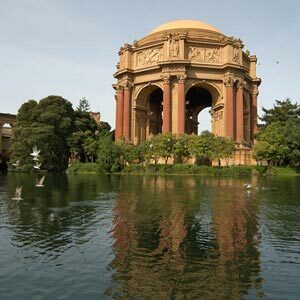 The Legion of Honor and de young museum is one among the famous museums of San Francisco. The museum has permanent collection of Legion of Honor's, that encompasses classical and European art from ancient Egypt to the twentieth-century. The de young museum exhibits American decorative arts in chronological order. The de young museum also displays paintings by some of the most important American artist including Gilbert Stuart, John Vanderlyn's depictions of Niagara Falls, Childe Hassam's Impressionist scenes of East Hampton, NY, Winslow Homer's and Thomas Eakins' genre paintings, and early 20th century works by Georgia O'Keeffe. The San Francisco Museum of Modern Art (SFMOMA) is a museum in San Francisco, California dedicated to modern art. Opened in 1935, SFMOMA was the only modern art museum on the West Coast of the United States. Designed by architect Mario Botta, the modern art museum in San Francisco and was opened in 1995. It gained prominence under the guidance of Grace L. McCann Morley and Henry T. Hopkins. The museum has in its collection important works by Jackson Pollock, Richard Diebenkorn, Paul Klee, Marcel Duchamp, and Ansel Adams, among others. The modern art museum in San Francisco has a collection of architectural and design models. SFMOMA did pioneering work in exploring and promoting photography as an art form and began to collect and exhibit photographs since 1935. You can find pictures from all over the world. Various schools of painting can be seen reflected in the painting collection by major artists. Southern Californian Art and Mexican painting and contemporary art - you can find them all. This museum in San Francisco boasts of a library that is home to nearly 53,000 cataloged items. You can find monographs, exhibition catalogs and books on the history of photography.